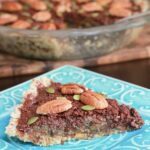 This Chocolate Chia Pecan Pie is a definitely a wow factor pie. I first saw the recipe on This Rawsome Vegan Life and knew that I had to make it. I have changed the name as think it has more of a chocolate flavour than a caramel flavour. It is a great dessert to make it you have guests coming over for dinner. 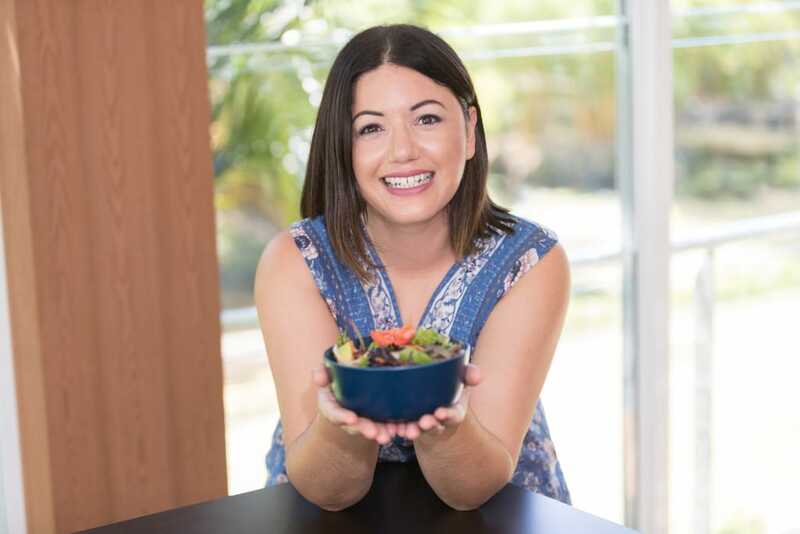 They will want to get the recipe from you. Pulse nuts in your food processor until they are crumb-sized. Add dates and sea salt and process until the crust sticks together. Place crust into the bottom of a pie dish and press firmly so it is fairly even around the base and edges. Then place the dish into the fridge to set. Process all ingredients, omitting 1/2 cup of raisins, until they are smooth. Stir in the remaining raisins by hand and then pour the mixture into your crust. Mix all ingredients together until smooth and then pour onto the pie. Decorate the top with pecans and pepita seeds.